In these days of fast-paced changes, it takes a visionary leader to keep a company on track toward a bright future. But you also have to start with a powerful vision. Back in the early 1970s, my father used to talk about barcodes. He saw them as a game-changer. I remember sitting at the table with him one day, when I was nine years old. Dad drew this series of lines and explained to me that each line had meaning. Together, this series of what looked like simple stripes to me would somehow communicate all sorts of information that could be translated with a machine that was designed to read the code. 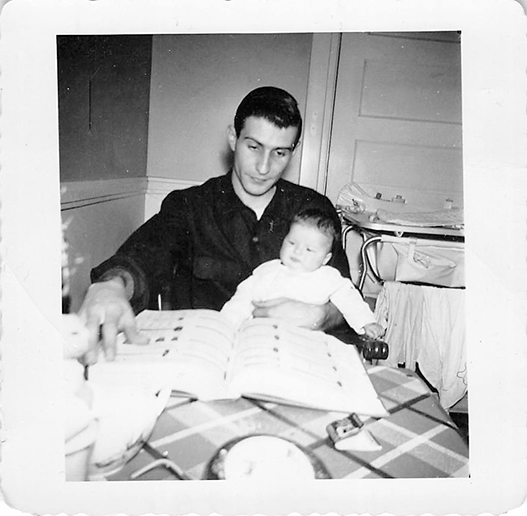 At nine years old a barcode didn’t have much meaning to me, but my father’s fascination with the concept impacted me. It didn’t matter that I didn’t grasp the significance of what he was explaining, I do however think of that moment often for a lot of reasons. As a young child I had no idea he was so ahead of the curve, a creative innovator in his own time. And who knew (not me), that one day bar-coding technology would become my passion too! 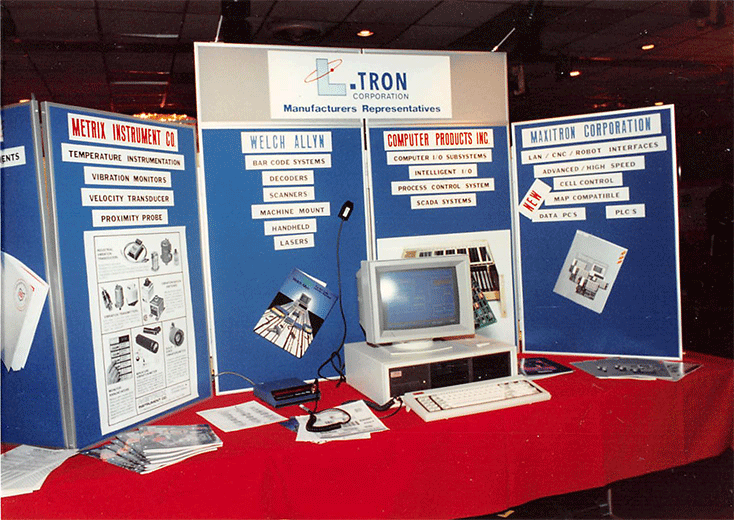 In 1975, my father launched his business in the basement of our New York home. His desk consisted of a piece of wood on top of two file cabinets. My mother handled the phone calls when he was out making sales calls. My sister and I were both rambunctious and, therefore, oblivious to this “home office”. We had to be shushed by Mom when she was trying to sound business-like on the phone, she also reported the incidents to the CEO upon his return. In trouble again! grew up with the most current tech in our home-always. His early drawing of all those lines was also coming to life in his business! He turned the vision of black lines into something very real and it fascinated me—not just the barcode technology, but the business itself. 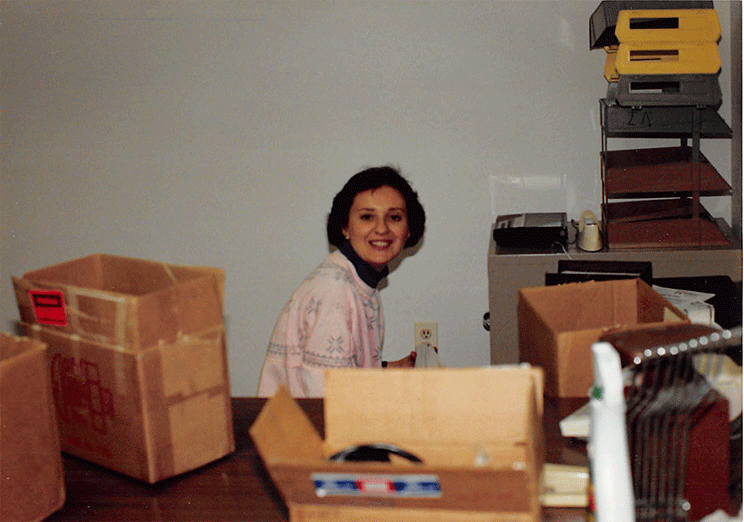 My first job with L-Tron had me filing faxes—remember that curly paper? -for which he paid me a whopping 25 cents an hour! I decided I was underpaid and could make more money as a babysitter, so I “resigned”. I didn’t know then that my passion would eventually mirror my dad’s. 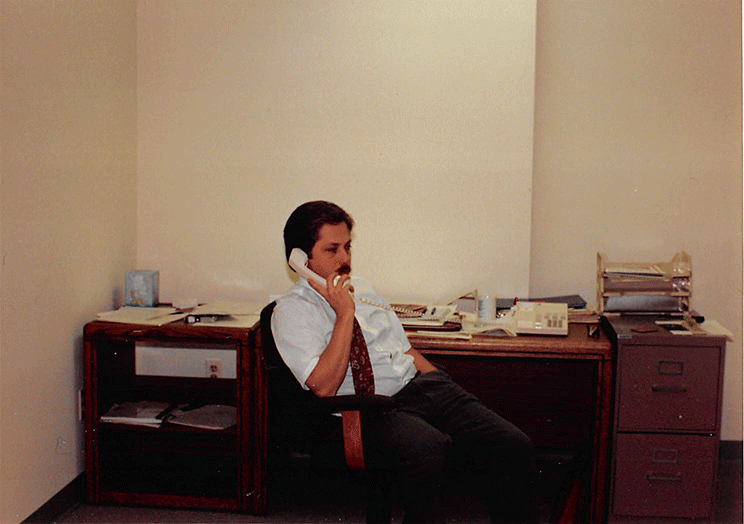 RAD in his L-Tron office in the 70’s! 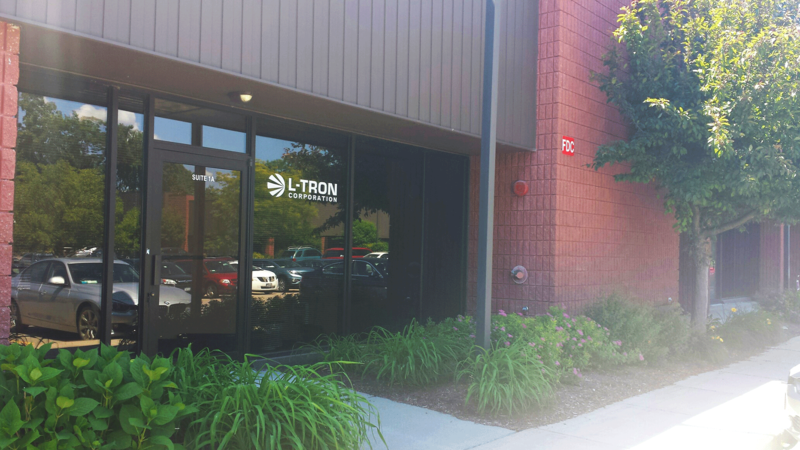 Today, my husband RAD DeRose is L-Tron Corporation’s President and CEO. I’m proud to say that I’ve earned my positions here as a Partner, COO, and Director of Marketing. We have a great team in place and together as a team we have grown the business significantly. We are a quirky group of tech experts who problem solve with our clients, our goal is to deliver results that support our clients success. Our tag line Your Success is Our Passion is for real, we walk the talk here. I will always remember my father sharing his future using a pencil and paper and it makes me smile, he was a creative genius visionary. And how lucky I am to be a part of his vision today. How did you get where you are today? Share your stories with us on Facebook! 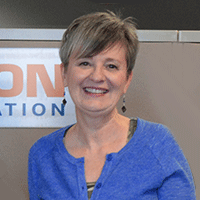 Gayle DeRose is proud to be the COO and Marketing Director for L-Tron. Her passions are serving customers, all things creative and her family. She has been with the company for over 20 years, continuously developing her expertise in operations & marketing, as well as the strategy, implementation and ongoing training required to deliver the exceptional service standard L-Tron models today. Would you like to get in touch with Gayle? Call 800-830-9523 x118 or email Gayle.DeRose@L-Tron.com.